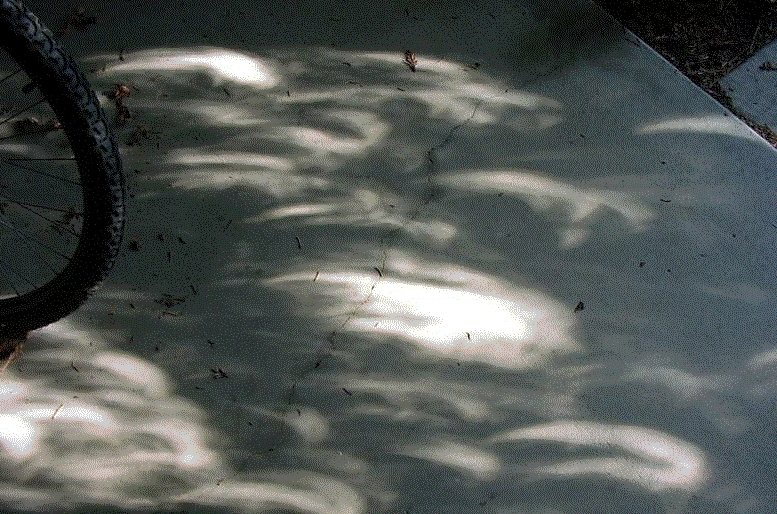 Crescent images on the Sun during the partial solar eclipse on June 10, 2002, as observed under trees on the ground. Credit Joan Barnett. "Here's my idea for something to do any sunny day, and especially exciting during an eclipse or transit. I wish I could be on your continent for the Venus transit on June 8th! Walking in the park, or around town, I used to not notice shadows much. Now I make a hobby of looking at shadows and light on the ground and on buildings. There are blobs of light, but I look for the circles and ovals, sunlight focused through holes between leaves. There are millions, waiting to be seen. I call them "sun circles". (Is there another term?) Small ones can be seen on a sheet of paper, under almost any bush or tree. Sunlight shining between crossed fingers or through a hole in a card produces them, too. Early and late in the day large circles are projected on buildings or cars, or at an angle on streets. Tall trees in the neighbor's yard project circles about 20 cm wide on my basement door every summer evening. They slide around, appearing and disappearing, as the trees sway. Careful examination can even reveal sunspots. The largest I have ever seen were about a meter in diameter, projected onto a school by trees a block away. An interesting thing to think about is the ratio of the size of the image to the distance to the hole that is projecting it. I thought of two ways to calculate it, and I challenge readers to think of them. This hobby of looking at sun circles is most exciting during a partial solar eclipse! Instead of circles you see crescents, and they are so distinct! For me, it's the most exciting thing on the day of a partial eclipse. Knowing the time of the eclipse, one can practice on previous days at that time. 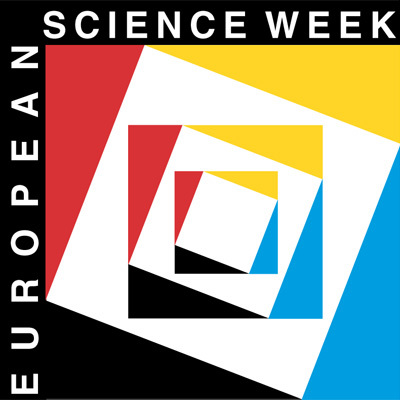 It's natural, safe, and exciting as we ponder the wonders of the universe. It should also be possible to see Venus on the face of the Sun with this method. Would you like to try on June 8th?"